“I am frequently asked by prospective clients to define my decorating style. I answer, with a smile, ‘Good taste.’ I do not adhere to a single style, as my design interest is diverse. My goal is to create spaces with enduring beauty. My interiors capture the unique individuality of the client, how they see themselves, and what they want their home to represent, as well as how it can be functional for their daily life,” says Robert Hughes of Robert Hughes Interiors in downtown Hinsdale. “Often clients have begun using a do-it-yourself approach, but are frustrated when their home does not feel cohesive or finished. They feel so overwhelmed that they do not know where to start, or, after seeing examples of my work, they feel the need to start over. That is when I get the call.” Hughes says enduring beauty is the objective of all his design. “However.” he says, “beautiful rooms that stand the test of time do not happen without a great deal of research, planning, and culling for the best materials, design resources, and execution on all levels. That is when the magic happens. Enduring beauty does not chase trends, which look dated in a short time, but it allows for current design ideas executed in good taste. “I design rooms that evoke the energy clients wish them to project,” he explains. 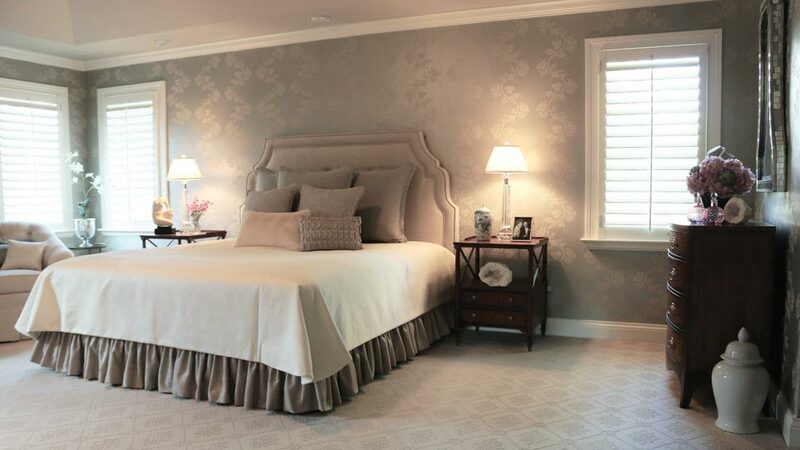 “A formal, elegant room may excite, making your heart race, or it may be a peaceful retreat. It may be studious, playful, youthful, or traveled, or a combination.” Hughes has been designing beautiful spaces since 2001 in the western suburbs of Chicago. In 2013 he established his own brand, Robert Hughes Interiors, as a small, bespoke interior design firm, to focus his creativity and design aesthetic on capturing and expressing the personality of each client. With the opening of his design studio in downtown Hinsdale in 2015, Robert created a tranquil and inspiring space to collaborate with his clients and share his vast library of design resources, meet with trade vendors, and host community social events. Robert Hughes Interiors represents over 150 discerning design trade companies, specializing in fine furniture and re-upholstery, wall and floor covering, lighting, custom drapery and bedding, designer fabrics and trimming, art work, floral creations, and decorative accessories. His educated and experienced eye create a room or home for you, that is cherished and celebrated for years to come. Robert Hughes Interiors is located at 53 South Washington Street, Suite #2 in Hinsdale, 630-378-4044, roberthughesinteriors.com.